UTSA President Taylor Eighmy has introduced 15 initiatives over the last 14 months: eight presidential, three strategic and four tactical. 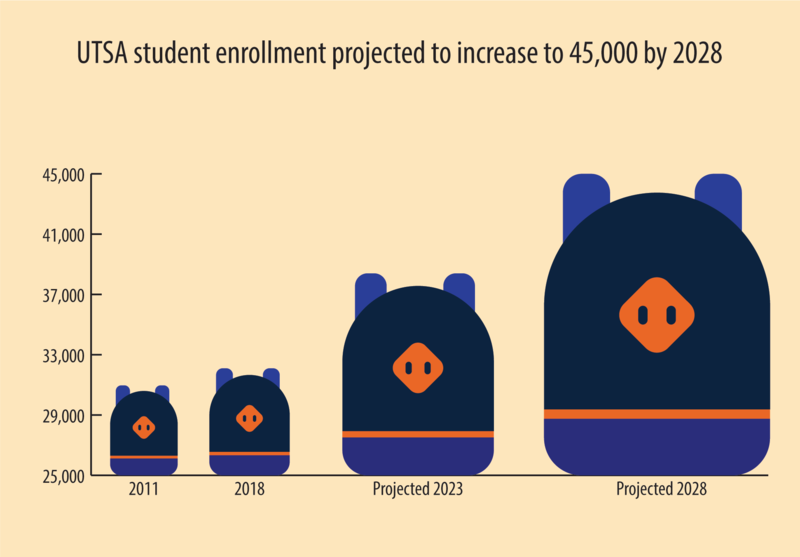 The Presidential Initiative for Strategic Enrollment aims to increase UTSA enrollment to 38,400 by the fall of 2023 and to more than 45,000 students by the fall of 2028. For fall 2018, the UTSA Office of Institutional Research has reported an all-time high of 32,101 students, surpassing the previous fall 2011 record of 30,968 students. 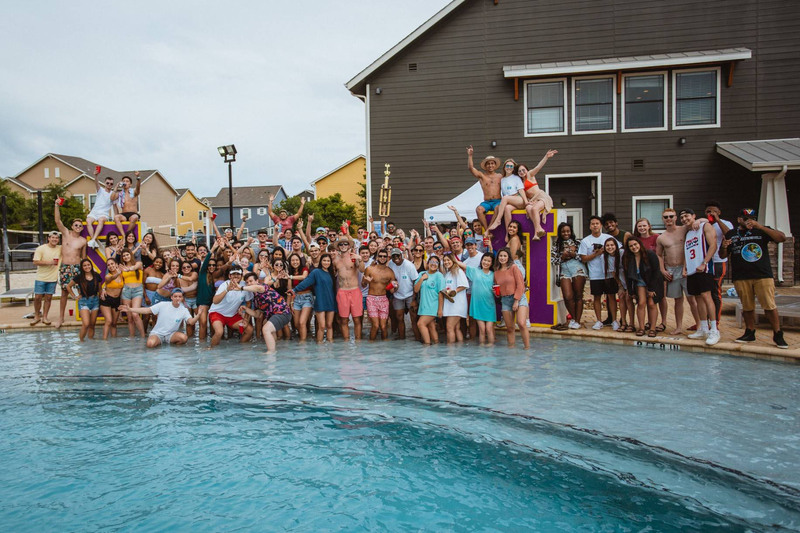 Will Smith, a sophomore majoring in cybersecurity and information systems, shared his thoughts on why it is important for to UTSA to focus on its student population. 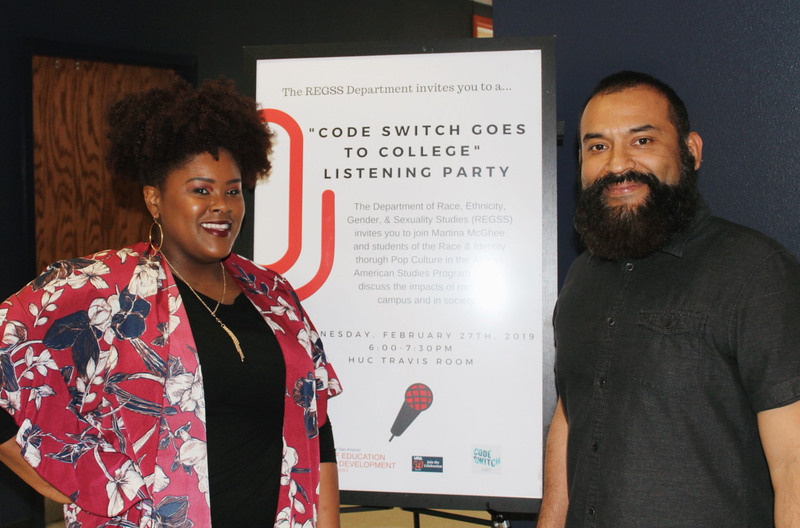 “As UTSA continually strives for top tier status, it is ever more important to focus on the growth of the entire student and faculty population by expanding enrollment and increasing diversity,” Smith said. The School of Data Science and the National Security Collaboration Center have secured funding while the College of Business remains in the proposal phase. Future UTSA students will be able to enjoy a suite of new facilities in the Downtown Campus. While these downtown buildings are in the development phases, the Main Campus can be expected to accommodate the majority of increases in enrollment. With respect to departmental growth, there are two major implications. First, departments connected to specific job-fields can expect to receive the focus of the university in this period of growth. Second, expansion of faculty will be conducted on a departmental and college-wide basis instead of a university-wide level. We can expect to see certain colleges rapidly expand with increases in enrollment while others, less connected to workforce needs, may remain at current levels. A major factor in increasing enrollment is through student retention; UTSA is working on improving the availability and quality of advising programs and helping current undergraduates have a clear end-goal in mind with a graduation action plan. Therefore, admitted students can expect support before they enroll, as they progress through their classes and finally cross the stage.